Many devices inside of Ableton Live have multiband capabilities, particularly the Filter Delay and Multiband Dynamics plug-ins. In this video, Berklee Online course author Loudon Stearns demonstrates how to create different frequencies using Ableton. By sweeping the frequencies in the Audio Effect Rack, and adjusting their Hi, Mid, and Low ranges, we hear different lows, mids, and highs in our drum sounds. The difference in timbre and the effect of delay makes for a more sophisticated recording. You can even use these effects on vocals! 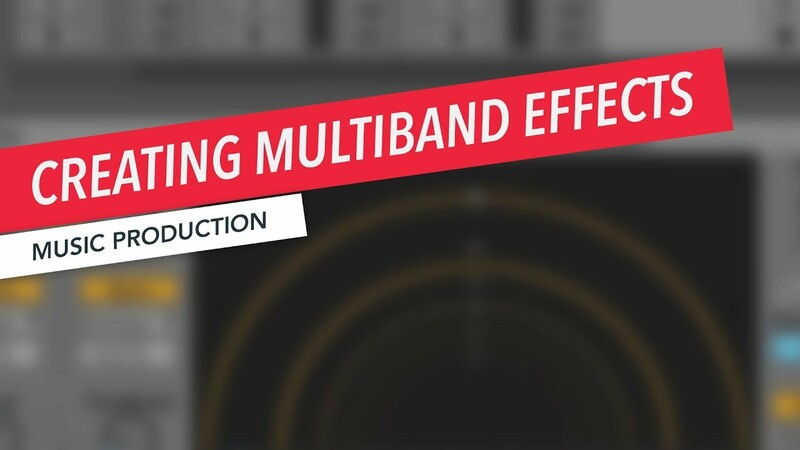 Hopefully this video will help you develop your own general purpose multiband processing effect rack, which will allow you to place any devices you like on the lows, mids, and highs of your signal. When working with multiband processing, it is best to start with a complex signal that has wide spectral content. A full drum groove is a particularly good place to start with multiband processing. Loudon Stearns is an associate professor at Berklee College of Music, as well as a course author and instructor at Berklee Online. The courses he has authored include Advanced Music Production with Ableton Live, Composing and Producing Electronic Music 1, and Composing and Producing Electronic Music 2. With Erin Barra, he co-authored the courses Ableton Live Fundamentals and Ableton Live Techniques: Sampling. Within the Contemporary Writing and Production department at Berklee College of Music, Loudon prepares students to work as independent composers and producers in a technology-laden music industry. He holds a Bachelor of Music in Contemporary Writing and Production and Bass Performance from Berklee College of Music, and a Master of Fine Arts in Media Art from Emerson College.